Free Printables - I love creating things that I can print out for myself, my son and my friends. I've also found some great images and ideas, here and there, that I think other people would love too. So I thought I'd share the ideas and the images that I've found. This site features online printable greeting cards, free calendars, including yearly and monthly layouts with new designs being added on a regular basis. Would you like to share your knowledge about keyphrase? Contribute to www.pennyprintables.com! Visit the kid's pages to find printable coloring pages, such as funny aliens, animals and holiday coloring pages. 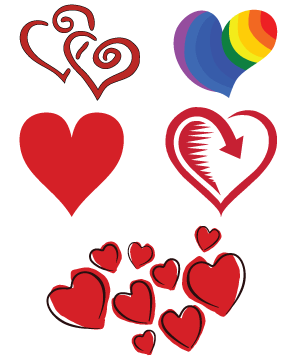 Printable Shapes - a new section, starting with printable heart shapes.